A "Better Place" than summer! It comes as somewhat of a shock that leaves are beginning to fall here already, and the changing of colors is getting underway! Where did September go? And we were still waiting for the summer that never really arrived! But there is a much better place than summer for us! Shortly after Solomon became king, we are told in 2nd. Chronicles chapter 1 that God appears to him and says, “Ask! What shall I give you?” And Solomon replies in verse 10, "Now give me wisdom and knowledge, that I may go out and come in before this people; for who can judge this great people of Yours?” Now it is remarkable that he asks for wisdom, but something else struck me profoundly here. Solomon says, "that I may go out and come in before this people." And what that is really saying is that his main place of being was with the Lord! He referred to when he "went out" and "came in." This shows that his "home base" as it were, was in the Lord's presence. He would go out and do his kingly duties, etc., but would come back into this place with God. That was his mode of living and the source of his greatness, until sadly in his later years he lost his bearings. This has provided such a wonderful blessing and exhortation for me and I'd like to share it with you briefly. His father David seems also to have practiced this, because he says in Psalm 121:8 "The LORD shall preserve your going out and your coming in..." So he too knew this special place with the Lord. And to take it a step further, Paul says in Acts 17:28, "for in Him we live and move and have our being..."
These wonderful truths are nothing new, but there is always room for us to be reminded of them in the midst of life's busyness. Jesus told the disciples in John 15:5, "He who abides in Me, and I in him, bears much fruit; for without Me you can do nothing." That means it is more than a good idea to have Him as our home base. If we are to have any positive effect in this world, it is imperative! It is in our place "in Him" that we can hear from Him and get clarity for our daily lives, clarity through His word, clarity for how to pray, and receive His strengthening love. 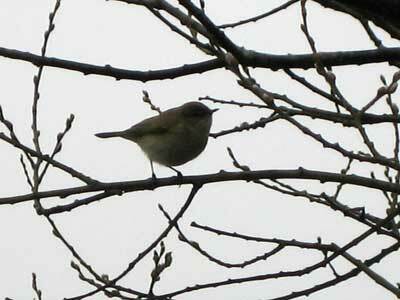 Just like this little bird is surrounded by the branches, we can know ourselves to be enveloped in God's love. Like it says in Romans 8:39, "...nothing shall be able to separate us from the love of God which is in Christ Jesus our Lord." The practice of keeping these truths in the forefront of our hearts and minds helps to keep us abiding in Him. This is where we belong. This is our true home base and the heart of our prayer life and intimacy with our heavenly Father. This will bring blessing to us and those around us. And this is way better than summer any time! Wonderful News ... Thank you for your prayers! On August 4th I asked you to help us pray for our friend and prayer partner Tony. Well, this morning they prepared him for the scheduled surgery, and then had to cancel the operation because they found no signs of cancer in his body, and even made double sure by doing a biopsy on the spot! Prayer with assurance in God's words! 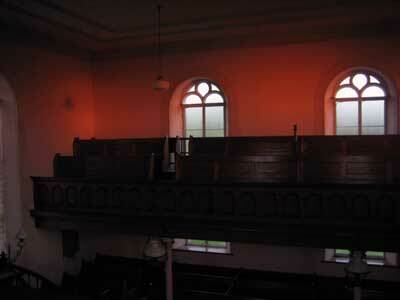 When the setting sun's light paints the inside of the chapel with a warm red-orange glow, it's strikingly beautiful. It is a visual reminder of the fulfillment of our intercessory mission, when God's presence pours out in revival power here. It makes me think of how when Solomon dedicated the temple in Jerusalem, the glory of the Lord filled the house of God. 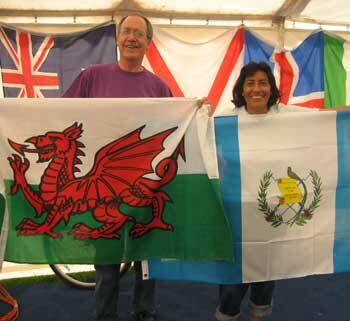 But we are looking for the days when His glory runs freely throughout Wales and multitudes are drawn to the Savior. Amos 8:11 reads, “Behold, the days are coming,” says the Lord GOD, “ That I will send a famine on the land, Not a famine of bread, Nor a thirst for water, But of hearing the words of the LORD." In those days, the next verse goes on to say that they would not find it. However, we are convinced that when the presence of the Lord is made manifest in our times, there will be such hunger and thirst for the word of God that people will gather together to behold His goodness and seek His mercy and forgiveness in countless places all across this land, church buildings and homes alike. We are extremely blessed that during our time here the Lord has given us many wonderful friends whose hearts beat with the same longing and expectancy of what the Lord has prepared for this "land of revivals" once again. There is a growing number of saints who are earnestly praying and working towards the days when the King of Kings, the Lion of Judah, makes Himself known by the workings of the Holy Spirit on individual hearts and lives. 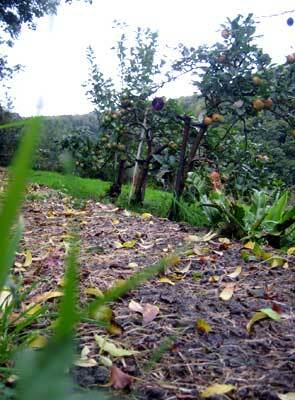 Networks of prayers and relationships are being put into place and made ready for the incoming harvest. The body of Christ here is being slowly and inexorably drawn together - the nets are being mended and new ones made in preparation for the "marvelous catch." 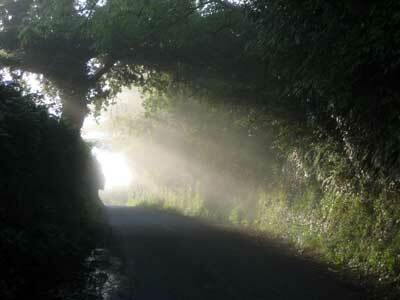 On my short drive up to the chapel the other morning, I just couldn't go through this sunlit foggy tunnel without stopping to take a picture. It looked like some magical gateway into a brighter place. Actually when we set out to seek the Lord in prayer and in the scriptures, we usually do find a "brighter place" in His presence. As the Psalmist says, "Your Word is a lamp to my feet, and a light to my path." And even though our physical circumstances may not change, we know that spending time with Him allows His light to shine into our lives. 1 John 1:7 encourages us to "walk in the light as He is in the light," and as we persist in this attitude , we can be sure that His light will influence our circumstances and our relationships. One grain of salt may go unnoticed in a plate of food, but if we keep on adding one grain at a time -- well, you get the idea. On clear mornings like this I find it hard to go inside the chapel and prefer to sit outside in the cemetery. 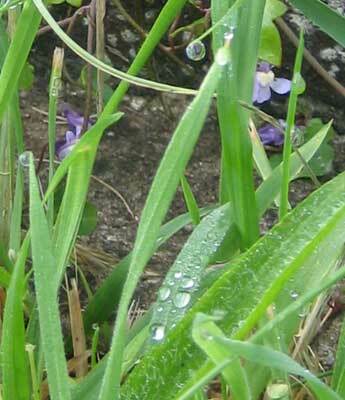 In this rainiest summer in over 100 years, you have to take in every moment you can get! And in a similar way, the world we live in presents us a pretty gloomy picture. The "news" is always full of reminders that we live in a corrupt and unjust world, with wars and hardships everywhere. Isn't it a wonderful strength to know that we can come to the source of life itself and find light for whatever daily darkness assails us? While we can enjoy knowing the Light of Life, we continue crying out for the many people who remain in a gloomy and godless world. Humanity may search for "truth" and "virtue", but always comes up short. Last week the buzz in the scientific community was the massive particle accelerator in Switzerland that is supposed help "discover" the origin of the universe. They're desperately trying to find an answer that involves the head but not the heart and issues of sin or righteousness. Yet the answer to life's quest has been plainly written out for us for thousands of years. "4 Where were you when I laid the foundations of the earth? "5 Who determined its measurements? "19 Where is the way to the dwelling of light? "24 By what way is light diffused, Or the east wind scattered over the earth? We are as powerless as Job when it comes to the big questions in life, but when we are willing to recognize His supremacy and our necessity, then God can bring in His light and salvation to every needy person under the sun. Thank you for praying with us for the simplicity of change through which our Creator longs to bring us all into eternal life. Just over a year ago we spent a week in South Wales under a huge tent for worship and prayer at the Celebration for the Nations. 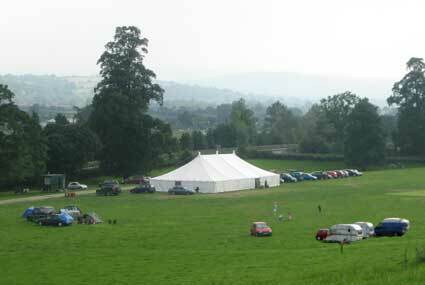 And this past weekend the Lord graciously made a way for us to attend the Powys Prayer Conference in a tent in Welshpool, North Wales. It was a treat for us to have the opportunity to meet yet another network of people who are seriously committed to prayer - and not only for Wales but many nations around the globe. Besides some great times of worship, there were representatives from different countries who provided detailed information about their nations. Of the ministries represented, one is reaching into the heart of the Islamic world through digital television broadcasting, and another is involved in church planting and personal evangelization in a very difficult middle-eastern country. The speakers shared from their experiences, and not only challenged those in attendance to prayer but also provided specific targets for prayer, and then time was spent praying in groups for those needs. 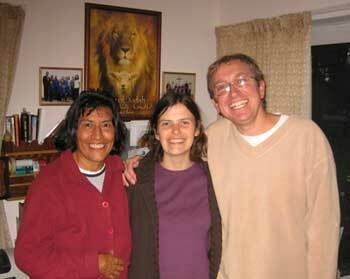 Our home church in the highlands of Guatemala met under a huge canvas roof when Gladys and I left Guatemala twenty years ago with our four small children to serve our church in New Orleans, Louisiana. And before that, our main congregation in the capital city met in a huge circus tent as well. So from the tropics to the not-so-tropics of Wales, our lives have had something to do with tents. Actually, tents have had quite a history with God's people as I recall! In all we felt very much at home and greatly encouraged there in Welshpool by such fervent praying saints of God. And our hearts were challenged to remember the immense need for prayer and dedicated pray-ers for the nations of the world.